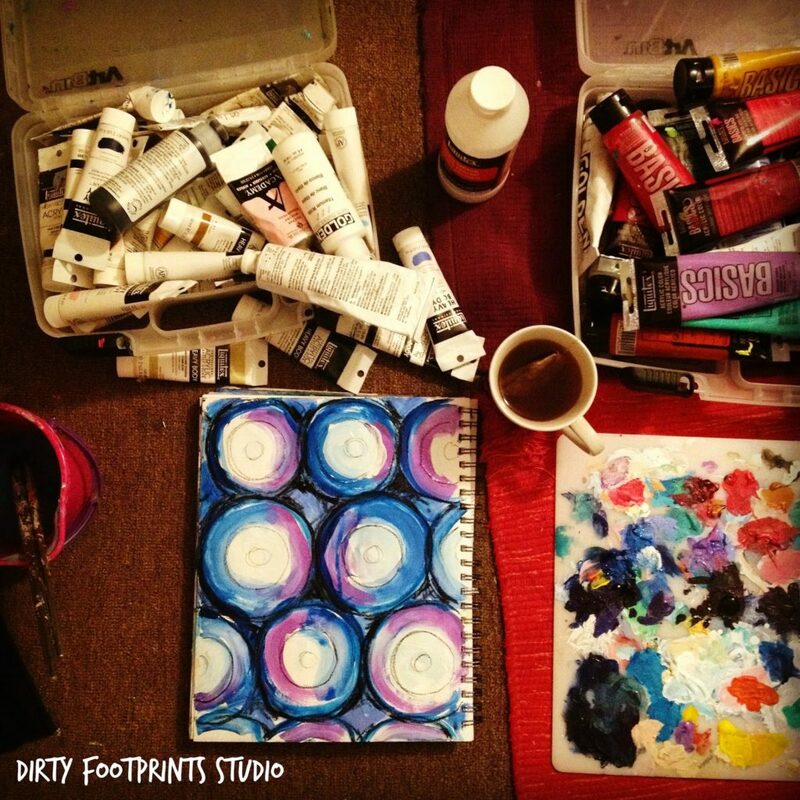 Let’s begin this workshop today with a peek into the actual supplies I use for art journaling myself! 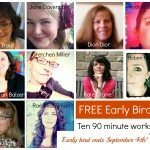 And the beauty of this Art Journal Wisdom workshop is all you need to do is to drop in daily to receive valuable content and inspiration! Nothing to sign up for! No forms to fill out! WHAT SHOULD I USE TO PAINT IN? I started art journaling way before they even called it “art journaling”and I’ll tell you that this practice alone has saved my life and my sanity more times than I can count! 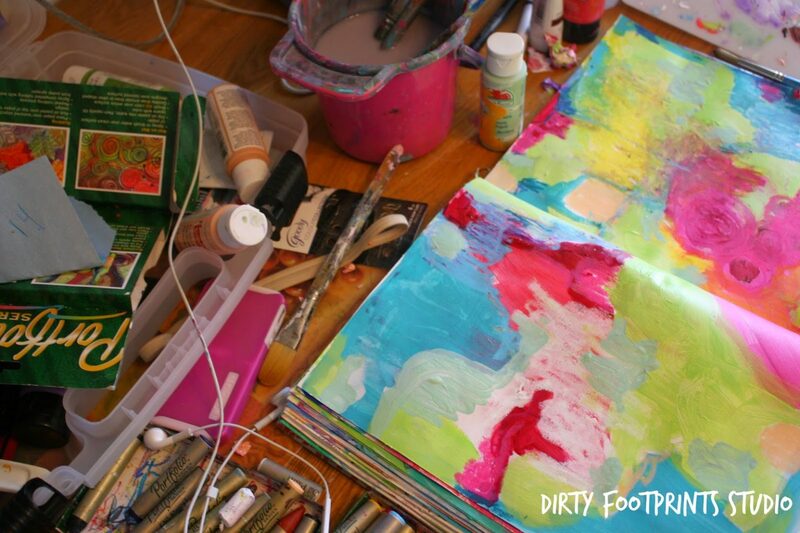 My first relationship with art journaling was as a teenager. I would pour all my angst and depression and longing for this or that (or him) into my art journal. I would write in it, glue stuff in it, and go nuts with paint. I would even encourage my friends to create in it as well. Back then I simply used a college ruled, spiral bound notebook — nothing fancy. And unfortunately nothing that seemed to last either. Over the years I’ve seem to lose them or thrown all of them away. But if you’re new to art journaling and a bit timid in getting started, grabbing a real cheap notebook is kind of a great place to begin actually. 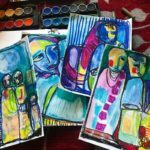 Sure, now-a-days sketchbooks are pretty dang cheap so spending a little bit more than what you would invest in a notebook can help ease you into the practice as well–because the paper is a bit different and more forgiving. But don’t rule out notebooks just yet! Notebook paper can be a bit frustrating to work with if you don’t glue pages together first. And how do you glue pages together? Simply slap some Mod Podge on the back of a page and then press it together with another page — smoothing out any wrinkles or bubbles with your bone folder tool / ruler. If you think you’re gonna get real nutty with the paint, I’d suggest gluing together maybe three or four pages even! And honestly? 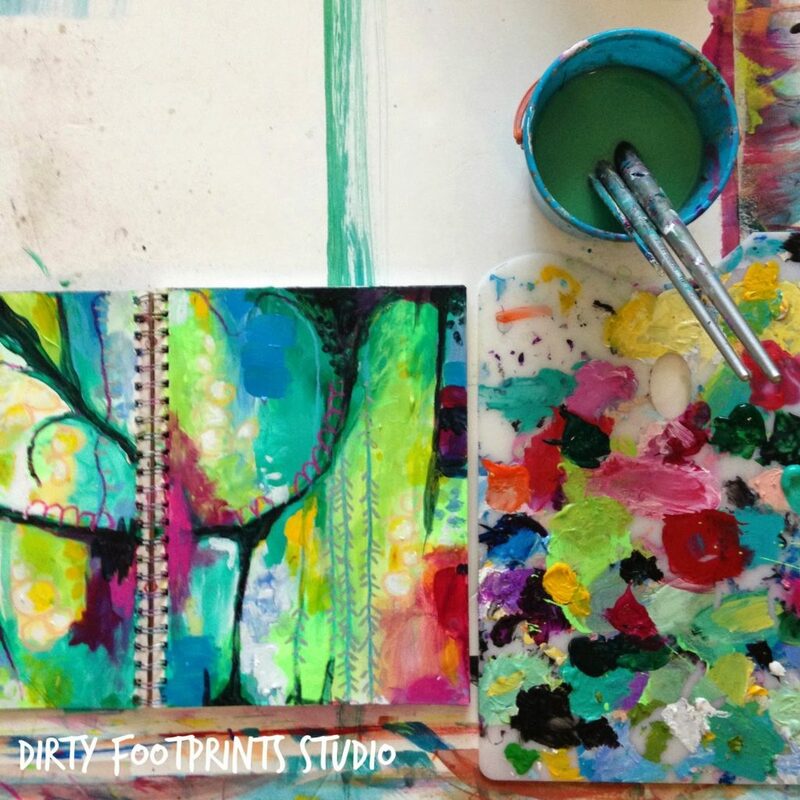 I still art journal in notebooks sometimes — doing so allows me to be even more raw and gritty! Plus, be sure to check out the video I posted below — I speak in greater detail about choosing a sketchbook to use for an art journal! WHAT KIND OF PAINTS SHOULD I USE? Personally I still love using those cheapy small bottles of craft paints by Craft Smart that I used when I was a teenager even! They come in amazing colors like flourescent pink and robin’s egg green and they’re pretty easy to use. I also love, love, looooove to use Liquitex Basics. 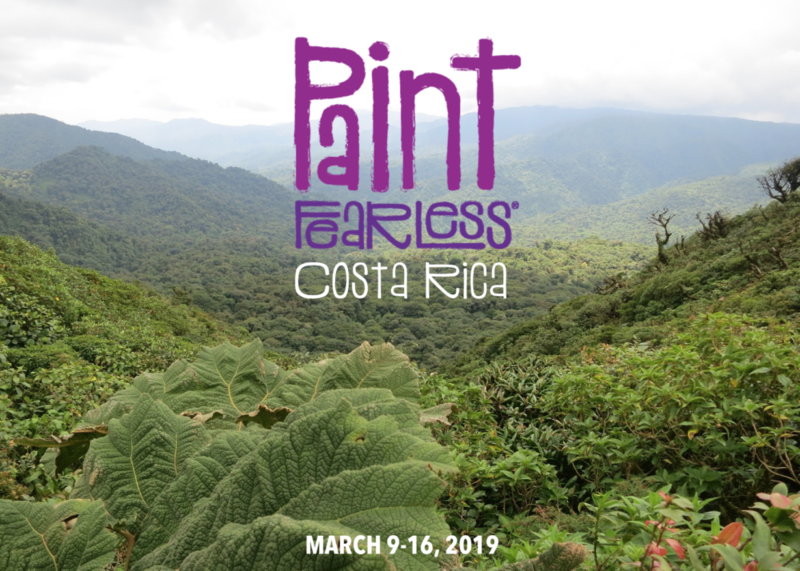 They are certainly a few grades better than those craft paints and they come out vibrant and juicy and are much nicer when you try mixing them together. Though, as the years have gone by I’ve definitely invested more into professional grade paints for my art journaling practice, such as Golden and Liquitex Heavy Body. But using the cheaper stuff is always a great place to start. This way you’ll feel less guilty about playing around and experimenting! 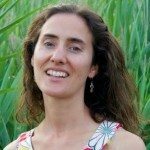 Less guilt = more creativity! NOW HOW ABOUT THOSE BRUSHES? Going to an art store can feel super intimidating to a newbie artist — especially when it comes to brushes. What to choose? Why so many? What’s up with all the different shapes and sizes? The one thing I fully, fully believe with all my heart that is worth investing in is good brushes. I prefer to spend more money on my brushes then anything else — because the brush acts as an extension of our hand — which in essence is an extension of our heart — so it deserves a little more love, if you ask me! Plus, have you ever tried writing a letter with a blunt pencil or a dried out marker? Same goes for a worn out or cheapy paint brush. If you purchase a better quality paintbrush and take good care of it (don’t let it sit in water & keep it clean) — it will last you way longer than those cheapy ones ever will. And with the cheapy ones you’ll find yourself frustrated and having to buy new brushes more often — so not as economical as you might think. My favorite brushes in the whole world are Robert Simmons Titanium Brushes. They go on sale alot HERE. Though if you only purchase the four I highlighted in pink you’ll s be good to go for a long time as well! So grab a pen and add these babies to your wish list….you know the holidays are right around the corner! HEY! WE’RE NOT DONE YET! Above is a handy dandy little video I created way back in 2009 where I go into greater detail on how to choose an art journal, ways to prep and seal the pages, and also fun ways to quickly create a background as well. 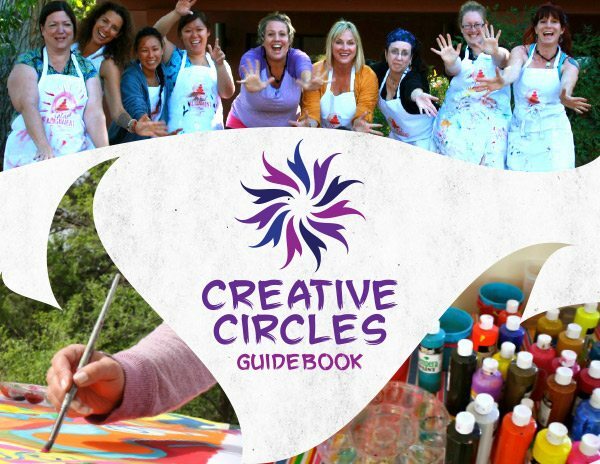 But the thing I want to stress the most is that art journaling is truly for everyone. WARNING: If you are starting to feel overwhelmed or intimidated by all the supplies or things you need to gather — let it go and simplify! simplify! simplify! Tomorrow we’re going to face the blank page and get to it by using simple things you can find around the house such as a sponge, a comb, or some bubble wrap. The real magic of art journaling happens from allowing your heart to pour onto the page — not from having the correct supplies at hand. So lets settle into our Art Journal Wisdom softly Sugar Cube! No need to rush or push on through. 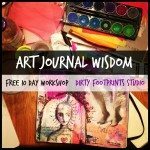 This Art Journal Wisdom workshop will be permanently waiting here for you, so go at a pace that nourishes and inspires you! Plus don’t be shy! 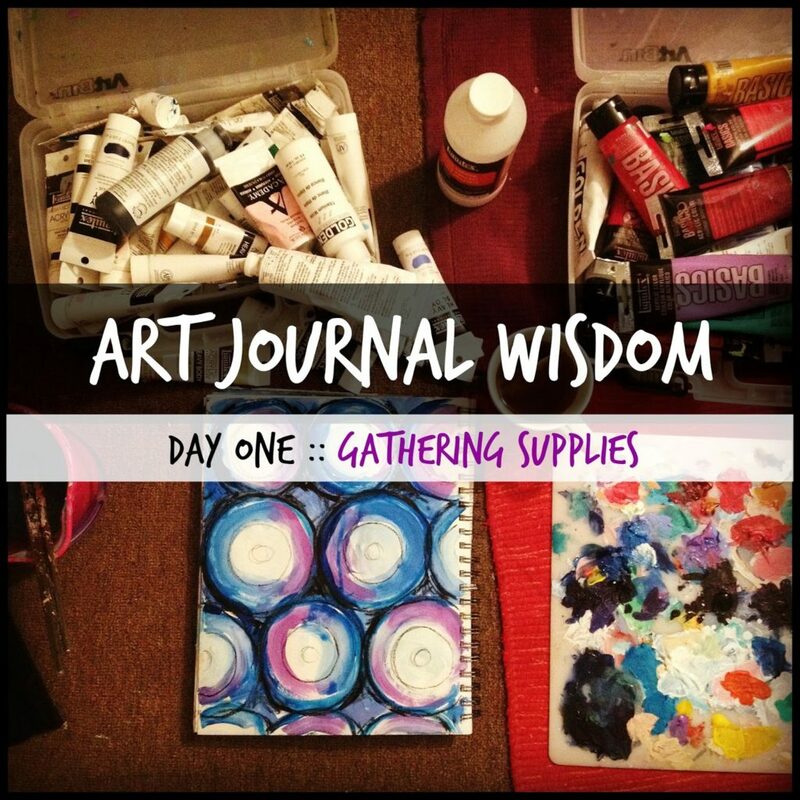 Be sure to use hashtag #ArtJournalWisdom on Instagram, Twitter & Facebook to share your Art Journal Wisdom with us!